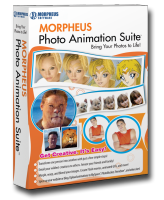 how did you get more than two photos in your morph? Great work. I added this to my facebook profile by clicking the "Post to blogs" button. I suffer from an autoimmune disease. The photos used in this animation were taken over the years. They show the physical changes I've undergone.